London: Tottenham Hotspur suffered their second defeat in English knockout football in a matter of days as they lost 2-0 to Crystal Palace in the fourth round of the FA Cup on Sunday. Connor Wickham gave the unfancied Eagles, 29 points adrift of Spurs in the Premier League, a ninth-minute lead before a penalty by former Tottenham winger Andros Townsend made it 2-0. 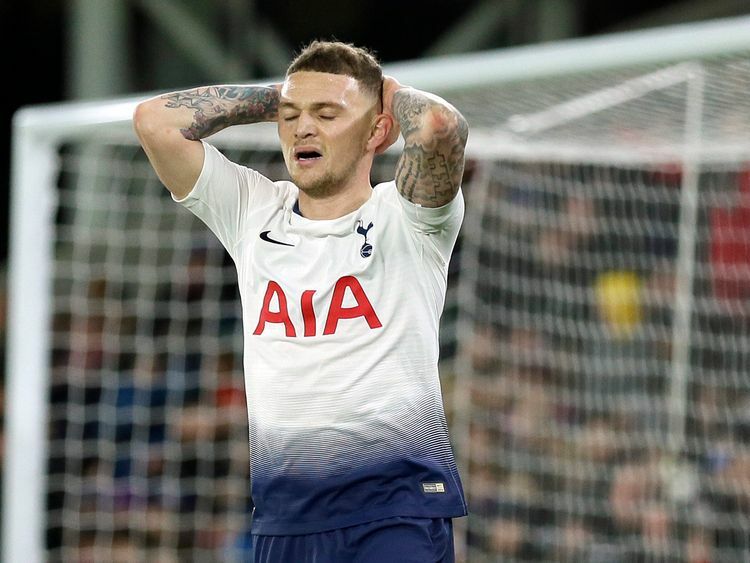 Spurs’ Kieran Trippier missed with a penalty before half-time as Tottenham suffered more spot-kick woe following Thursday’s shoot-out defeat by Chelsea, another of their London rivals, in a League Cup semi-final. FA Cup-holders Chelsea had no such problems later on Sunday as they marked Argentina striker Gonzalo Higuain’s club debut with a 3-0 win at home to Championship side Sheffield Wednesday. Willian scored twice either side of a goal from highly-rated English teenager Callum Hudson-Odoi, linked with a transfer window move to German giants Bayern Munich. Earlier, Tottenham’s reverse left Mauricio Pochettino still searching for his first trophy as their manager since the Argentinian joined from Southampton in 2014, with Spurs’ last piece of silverware the 2008 League Cup. Pochettino, however, decided to omit Christian Eriksen, with the influential playmaker not even among Spurs’ substitutes at Selhurst Park. For all they are third in the Premier League, Spurs are nine points adrift of leaders Liverpool. The Champions League is now Tottenham’s only realistic hope of a trophy this season, with Pochettino’s men playing Borussia Dortmund in the last 16. “It was so painful to lose the game like this,” Pochettino told BT Sport. He added: “We have to look forward to the Premier League and Champions League. Palace then made the most of a bizarre incident when Spurs’ Kyle Walker-Peters handled a cross into the box. But at the other end, after Patrick van Aanholt brought down Juan Foyth, Trippier blasted a penalty well wide of the post. Chelsea did not have things all their own way against second-tier Wednesday, who thought they had been awarded a penalty in the 22nd minute. Joey Pelupessy tried to meet Steven Fletcher’s pass, with Ethan Ampadu sliding in to win the ball before being kicked by the Wednesday midfielder. Referee Andre Marriner awarded a penalty but this was overturned by VAR, being trialled in some English cup fixtures this season. Wednesday’s woe was compounded when, four minutes later Willian scored from the spot after Sam Hutchinson trod on Cesar Azpilicueta inside the box. VAR was called into action again but this time Marriner’s decision was upheld and Willian, after appearing to offer the spot-kick to Higuain, made no mistake. Chelsea had to wait until midway through the second half for Hudson-Odoi to make it 2-0 before Willian, playing a neat one-two with Olivier Giroud, completed the scoring seven minutes from time.